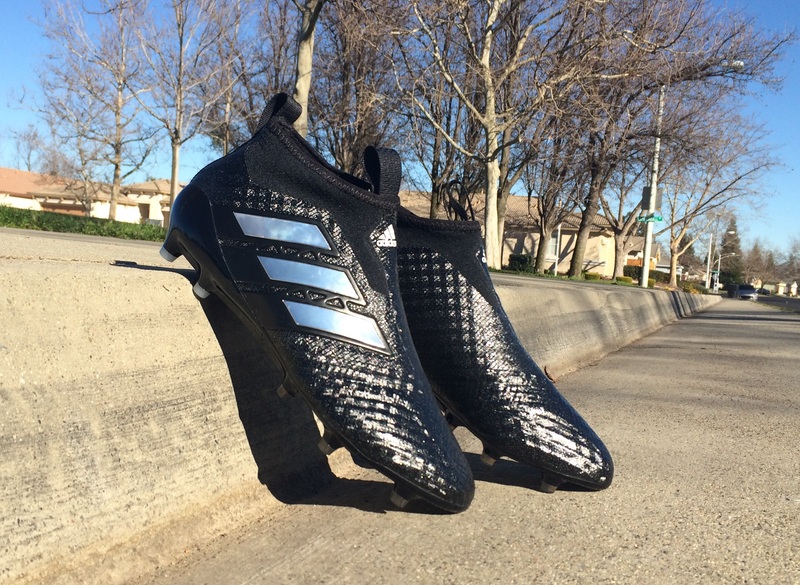 We are already moving on to the second generation laceless ACE17+ Purecontrol boot release from adidas, and this one is again filled with intricate pieces of advanced technology. In order to create a laceless boot, you have to be sure it comes together to produce an ideal form fit that won’t fall off your feet. This was already proven as functional with the initial release, so the question is where has adidas taken the silo to now? With some minor modifications and precise tweaks, the performance of the range has definitely been taken up a notch. 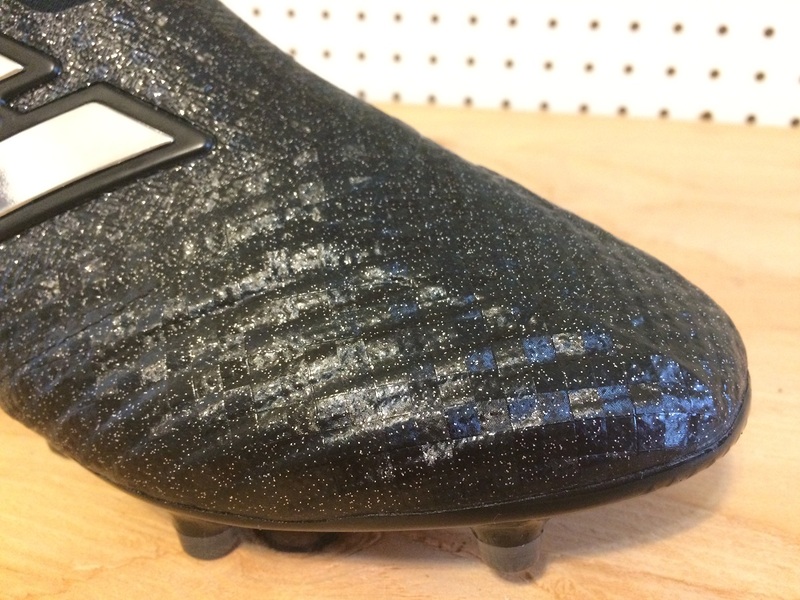 But can you really rely on a laceless design to get you through big games, when you need to play at your top-level without having to worry about your boots? Here are the details on what you can expect should you decide laceless is the next boot for you! Find the current ACE17+ Purecontrol line-up at soccer.com. 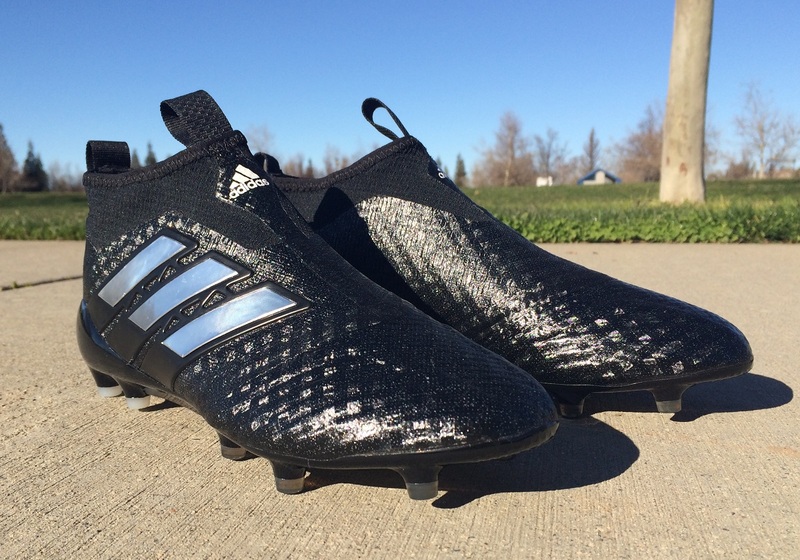 Between Red Limit and Checkered Black, adidas actually modified the design and altered the feel and fit of ACE17+ Purecontrol. This was most definitely an unusual move, as you’d expect the first release to have all of the silo’s signature characteristics. But, as it turns out, something wasn’t right with the first version and adidas took the bold move of switching things up immediately. Some point to the fact they shouldn’t have released an initial version that needed to be altered, while others applaud their proactive approach. Either way, the changes they made are positive and you can tell the difference just from taking them out the box. 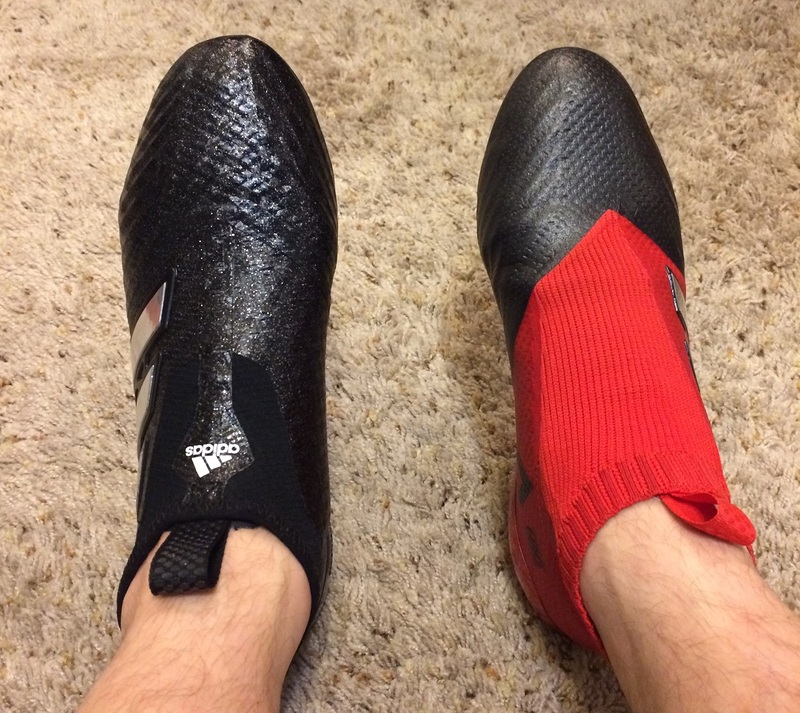 The concept of a laceless boot can immediately raise a big red flag when it comes to comfort. Without laces, you are essentially relying on the structure of the boot to lock your foot in place. Out of the box, the first thing you will notice about these is the fact the shape of the boot is held firmly intact, and that includes the higher cut ankle collar, or PrimeCut. But to be fair, there is also a pliable feel about the upper and when you slip them on your feet, they do feel pretty nice. This is, of course, as long as you have found the right size (make sure to read “How do they Fit” below). As adidas has developed the silo, they have found ways to make the material softer without reducing the amount of lockdown you feel. The first thing I recommend doing when you get them for the first time is try them on barefoot. All of the materials inside the boot are soft, so they should immediately feel comfortable. Use the pull tabs to get them on, and see if there are any areas that feel too tight or too loose. Once you get them into game, the upper has some give and will loosen ever so slightly to conform more effectively with your foot shape. I didn’t say this about previous models of the boot, so there is definite improvement in this area. During wear, I didn’t encounter any hot-spots, so I would deem them to a comfortable boot. But the general structure of the boot is constrictive, so you have some pressure right across the surface of your foot. To some, this might not be an issue. But I prefer to have a little wiggle room and the ability to loosen/tighten laces the way I want without fear that loose spaces might be problematic. There are three key differences between both silos. First is the shape and materials found around the ankle. 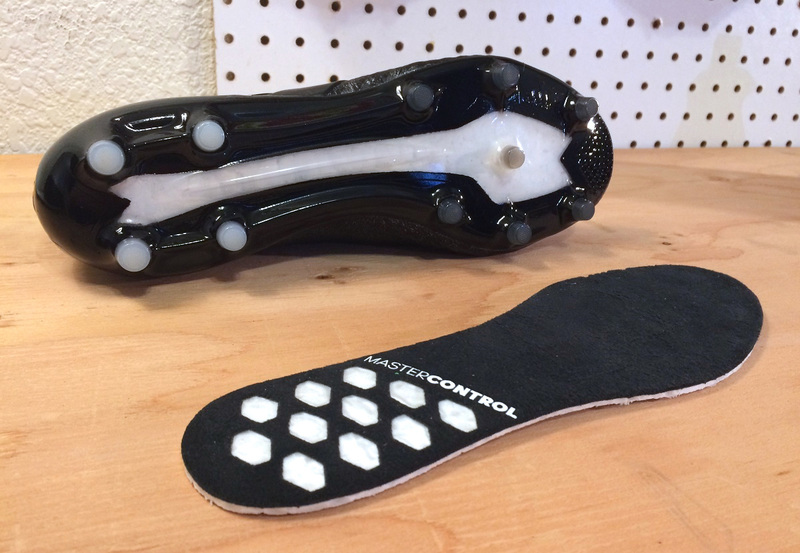 The PrimeCut knit is much thinner on the latest model and the ControlSkin actually runs up along the lacing region, creating better structure and lockdown fit. This also means you are getting ControlSkin deeper into the strikezone as opposed to softer knit material. Finally, Boost technology is now also included underfoot, allowing for more energy return as you bounce of the surface. 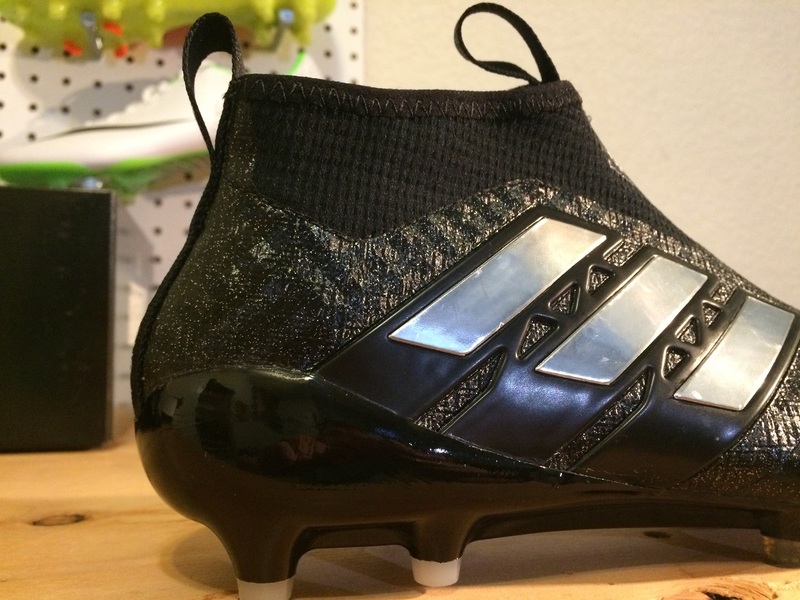 All three modifications improve the performance of the boot, so adidas has done a great job upgrading the range. Being honest, this is something that scares the crap out of me. If the material surrounding your foot is too tight, it ends up cramping your foot, and if it is too loose you end up sliding around the place. In order to make use of the technology, you are basically giving up some freedom. For some, especially those that can’t try them on before wear, this is a gamble. But, let me relieve some anxiety by telling you that the entire system, does work. adidas has done an incredible job of piecing it together and making the fit suitable for a wide range of players. The biggest coup here is the use of a specially engineered Paiho material around the ankle lining and down into the lacing region. This ensures you still get a stretchy feel but without the bulky overload feel. The upper takes on a bold new checkered style print as it cris-crosses the forefoot. What makes them even more unique, and you have to look at them up close to see this, is a silver speckled effect that covers the upper. It actually plays a big role in the visual effect by adding some shimmer to the Blackout design. There are several other colorways currently available to check out, including the Blue Blast version that has been a huge hit since release. 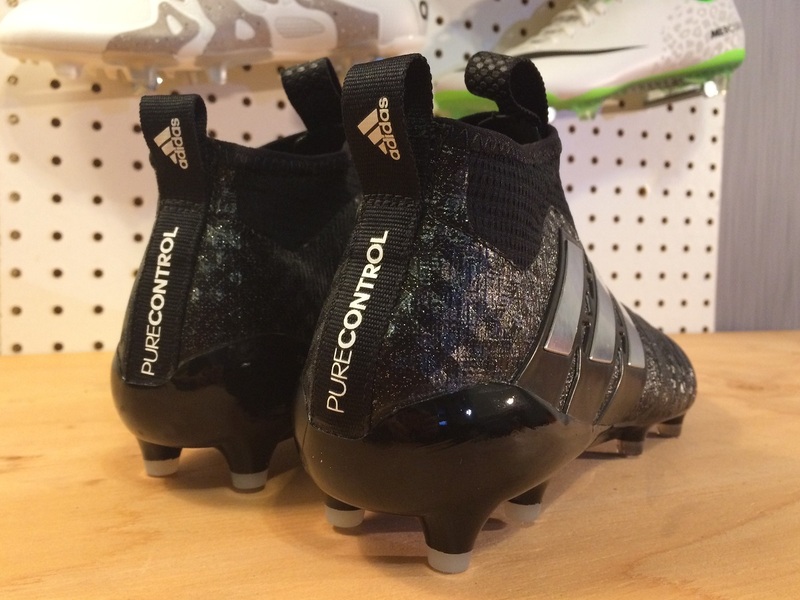 As you might have guessed, this boot is designed to compete in the “control” category. 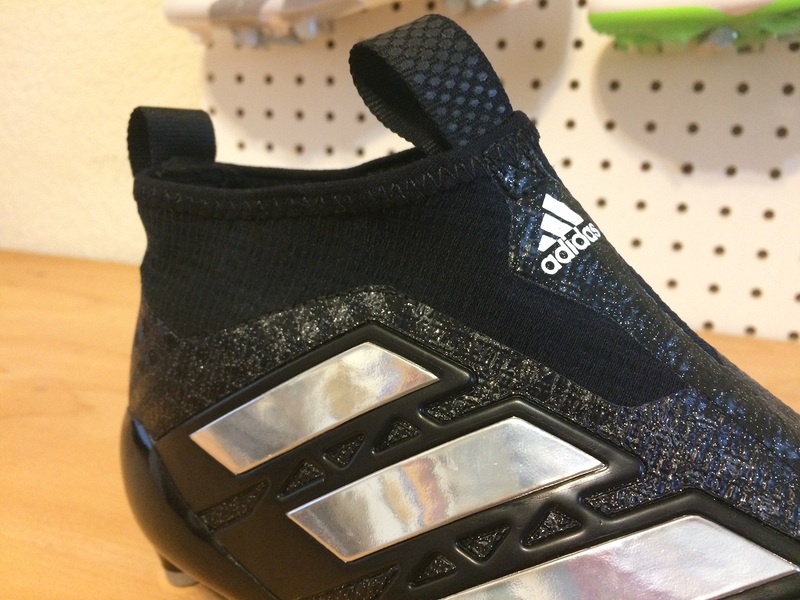 In order to put them in that bracket, adidas has used their ultra responsive Primeknit material through the upper, with a layer of ControlSkin placed on top. The benefit to using Primeknit is that fact it is so pliable, has the ability to stretch and it is super easy to work with from first wear. ControlSkin keeps everything together while providing some additional texture on the ball. As it runs through the lacing region, which it didn’t on previous models, it provides some additional strength and actually keeps the shape of the boot more functional. Let me start by saying here that this area is the most improved piece of the boot. adidas has altered the feel and made the material a whole lot softer and intuitive to touch on the ball. There is specific zoning across the forefoot, with s smooth region in the middle and angled raised ridges placed on either side. I have to say, on the ball they are spectacular, providing very natural feel and very competitive control. The texturing along with ControlSkin give you that little extra grip you need on the ball in tight situations, when keeping the ball close to your body is imperative. 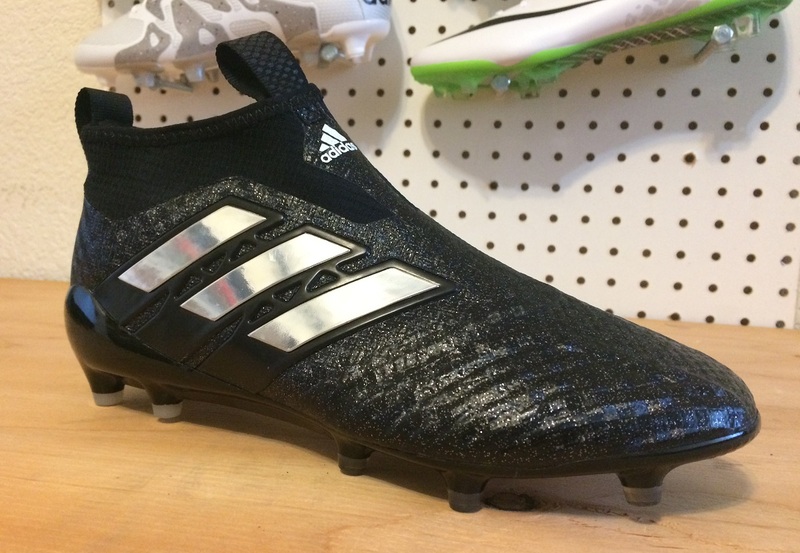 Listen, I am not a big fan of laceless boots because of the constrictive nature of the boot, but the feel of the upper on the ball is one of the best you will find on the market. If you want one word to describe it, it would be “intuitive”. For the first time ever, six millimeters of Boost is now integrated into the midsole and sockliner of the cleat. It is a piece of the boot that you really can’t tell is there, but it does serve an important role in the boots performance. 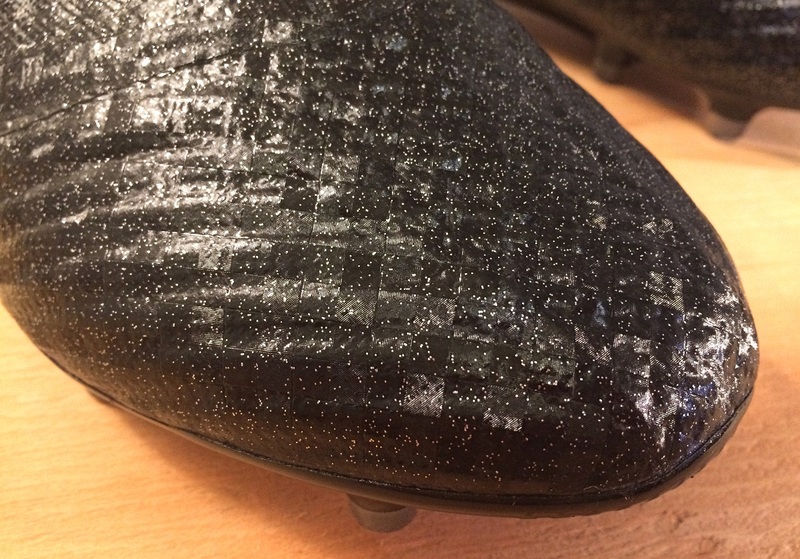 Small boost pellets or beads are heat pressed into the soleplate, ensuring there is energy retention and release as you stride and impact the surface of the ground. Think of it like a styrofoam that soaks in impact as your foot lands on the ground, then returns it as you release off the surface. All I can say here is that I felt comfortable wearing the boots, there was nothing about the system that directly stood out or was obvious performance wise. It wasn’t like I was running and thinking “there is so much more spring in my step right now.” If there is a difference, which I am pretty sure there is, it is difficult to tell in the great scheme of things. Underfoot, an upgraded Ground Control 3.0 outsole is enhanced by the fabled SprintFrame construction. 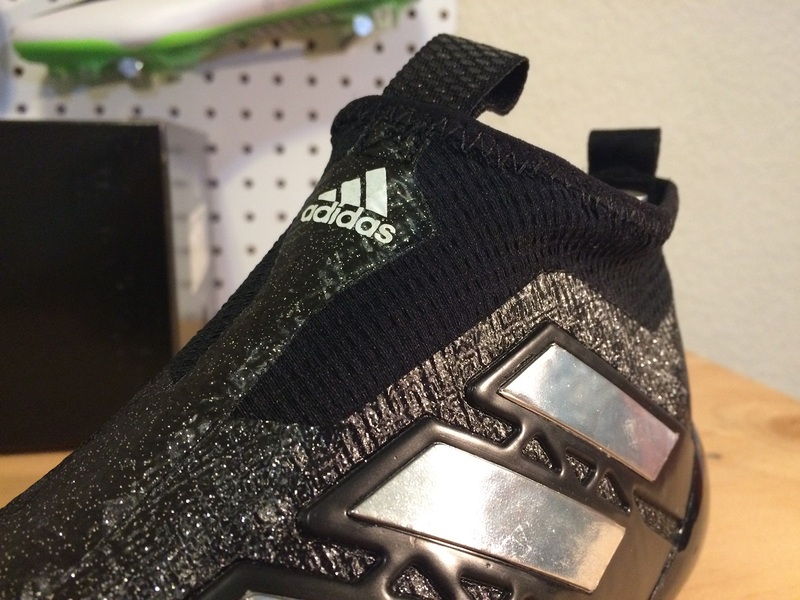 For those familiar with the adiZero f50 series, you will already have familiarity with this underfoot system. I wore these boots primarily on AG surfaces, with a few appearance on FG also (it has been raining here a LOT recently) and they have worked very well on both. When it comes to AG, you are going to have most success with a soleplate that features a low profile conical studs that are dispersed across the plate to distribute pressure. That is exactly what adidas has on offer here, and you also have Boost technology to take things up a notch. I never encountered any drag during wear, with the boots easily releasing out of the surface for quick acceleration when needed. I was rereading my ACE16+ Purecontrol review today, and the majority of what I had to say in terms of sizing is exactly the same. For testing, I wore a size 9US, which is my normal boot size. I can confirm that length wise, they are a pretty form-fitting true-to-size option. Because you are relying on compression to secure your foot down, the overall structure of the boot needs to be tight, for some that might produce an uncomfortable sensation. But in my experience, they offer just enough room up around the toes to leave you sitting snug without forcing pressure as your make sharp cuts where your foot shifts toward the front of the boot. The only real difference lies in the fact I found this version to be a lot more accommodating over time, with the material adjusting more naturally to your foot shape. And as I spoke about before, the material feels so much more intuitive and in tune with how your foot lines up against the material. Are they worth going up a half-size in? For some players, the answer will be yes. But the end result is a boot that is unlikely to fit in other areas. If sizing is a concern, play it safe and stick with a laced up pair of ACE17.1 Primeknit instead. How easy are they to slip on? Listen, you won’t have any problems getting your feet into these boots. Don’t let that be a concern. Angle your foot a little and slide it into the boot, all the while taking advantage of the front and back pull tab to get them on. If all fails, there is a shoe horn in the box that will help you squeeze your ankle in! The actual boots, a pretty nifty black perforated boot bag, some additional speed insoles and a shoe horn to help you get your feet into the boots! If you have made it this far into the review, thank you! There is a lot going on with this boot and given their price-point, it is important to cover as much of the performance as possible. I’m not a big laceless fan for two reasons; the extra price to have no laces, and the fact I can’t dictate how loose or tight my boots are on foot. Both of these are simply personal preference and have nothing to do with performance. So, as much as I’m being critical here, I’m simply sharing a general opinion. This is another positive release from adidas that proves their ability to innovate is only getting stronger. To check out all current available PURECONTROL colorways, head to soccer.com. Highlight: An updated laceless boot design that functions better than previous models for several key reasons. The forefoot region of the boot is so much soften than you’d expect. Would I Buy Them: If I needed to choose a laceless boot, absolutely yes. If I need to choose between these and a boot with laces, I’d probably go laces. Personal preference! Player Position: There are a wide variety of players that will be able to use these, most notably those that are on the ball more often than running. If you sprint a lot, there are better options. But if you sit in a position on the pitch where you see a lot of ball and just need to move it along, they have a lot to offer. Are the leather versions of the 17.1 available for sale in the US? It appears they are only for sale in the U.K. I went with the Primeknit 17.1s. After two games, I feel like I threw my money away. I’m 6’3, 230, and these boots are painful. The outside studs on both shoes cause significant pain. I’m sure some will like. But I am $200 out and needing a new choice. Going to try the Magista Obra 2 next. Maybe the boost is a needed element to cushion the stud pressure, or maybe the added speed insole would do it. Unfortunately, those were upgrades that came with the pure control line.